Welcome to our Artist Directory! In pursuing our mission of connecting audiences with artists we are eager to introduce you to our local talent. If you are looking for an artist, musician, or performer to present at an upcoming event this is the place you can come to find them! Interested in joining the list? Sign up here! I do watercolor, acrylic and oil painting. I also enjoy teaching. Watercolor, acrylic, and occasionally oil. I love making collages and pencil drawings. Paula Jensen is a self taught metal artist. Her art career began in college studying life drawing and painting techniques. Paula began to experiment with forge work and metal creation, with her millwright husband, Larry’s tutelage. 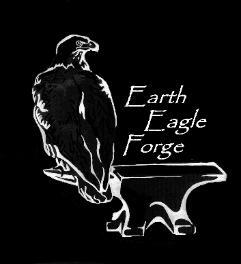 Within a few years Paula was designing and then creating custom works for clients through her business Earth Eagle Forge LLC. Paula likes to have her clients involved in the design process that personalizes each piece she creates for her clients for site specific art. 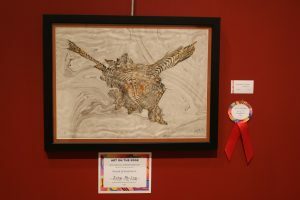 She is a diverse artist creating functional art as well as purely sculptural. Feel free to look around. Thank you for your visit.If you have any questions, don’t hesitate to ask. I use new and reclaimed wood and acrylic paint to make custom rustic-looking signs. Tons of pictures are available on my Facebook page. We have a duet act. We perform original folk/country/rock acoustic originals. We also have a full band. We perform for local conventions, fund raising events and two formal concerts per year. Woodcut prints of forest tree interiors shaped by elemental forces over time that also may include related symbolic artifacts. Sam Miltich is a jazz guitarist who plays gypsy swing and traditional jazz as a soloist and with his band the Clearwater Hot Club. He toured internationally with the world renowned Robin Nolan Trio. His fluid and instinctive sound has graced hundreds of stages, from small stages on the Iron Range to New York’s Lincoln Center. 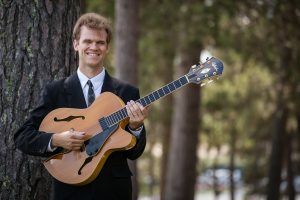 Sam Miltich is a jazz guitarist who plays gypsy swing and traditional jazz as a soloist and with his band the Clearwater Hot Club. He toured internationally with the world renowned Robin Nolan Trio. His fluid and instinctive sound has graced hundreds of stages, from small stages on the Iron Range to New York’s Lincoln Center. He hosts a weekly Jazz Night at the Grand Rapids VFW here in Grand Rapids.